Giromax offers UV and corrosion resistance for roofing. If you are looking for the best product to offer your roof protection, you will need professional Giromax Approved Installers. For Giromax application you don't have to look any further than Industrial Roofing Services. We offer the perfect solution to your problem. Our company is composed of professional Giromax approved installers. We are recognised as one of the most effective suppliers of corrosion and UV resistant coatings. These are available for the refurbishment of cladding and industrial roofing. Early detection of this problem and effective treatment can avoid costly sheet replacement. The best treatment for edge corrosion is Seamsil® 100. 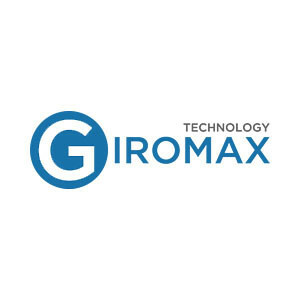 We are fully skilled and well-trained in the application of Giromax technology. This provides your roofing with a range of advantages from corrosion resistant and UV coatings. Seamsil® 100 is a patented modulus silicone system developed by Delvemade Limited with the help of GE Silicones. As Giromax approved installers, we install and supply the full range of Giromax products. This includes Giromax Delglaze, Giromax Delcote HPG, Giromax Delcote and Giro man Seamsil. Our company is also known as approved installers of Giromax Systems. Corrosion usually begins as edge peel at the cut edges of a metal sheet. Edge corrosion is a progressive problem and if not easily fixed, it can destroy the gutter overhang and weather-sealed lap joint. In order to solve this problem, Seamsil® 100 offers flexible and strong external joint. This can be easily installed without disturbing the existing sheets and fixings. The persistent adhesion of Seamsil® 100 is unaffected by temperature, weather or UV extremes. In addition to this, Seamsil® 100 is considered as the most effective protection treatment. This offers protection for edge corrosion and exposed metal on steel roofing. It is commonly used in combination with Delcote. At the same time, it can also be utilised on both aluminium and steel cladding. The product is used for roofing, paint finishes, Acrylic, Silicone Polyester and much more. Seamsil® 100 is applied to prepared and cleaned surfaces. It provides a long lasting, strong elastic and temperature and UV resistant seal. This can withstand surface movement of buildings. Our Giromax approved installers have undergone extensive training. This is to guarantee our clients that they can offer the best service that our clients are searching for. As Giromax approved installers, Industrial Roofing Services offer excellent roofing protection in Newcastle upon Tyne. We have the expertise, experience and knowledge to solve all your roofing problems. For more information about our company, don't hesitate to give us a ring. We would be happy to help you with all your roofing needs.